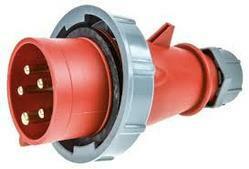 Our product range includes a wide range of Industrial Power Plug and Sockets. 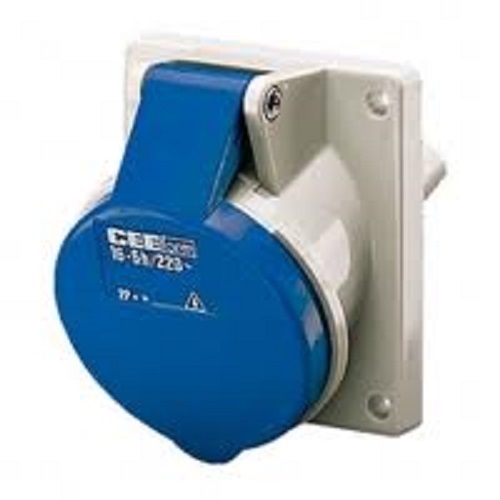 !6 Amp - 125 Amp Panel Mount or Cable Mount, Single Phase or Three Phase. 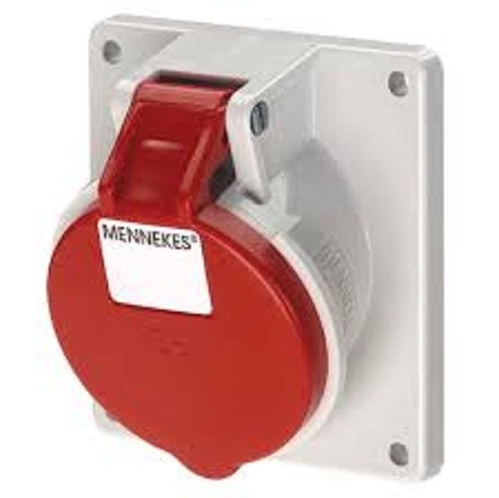 We have marked a unique position in the domain by offering a wide gamut of MennekesIndustrial Socket 16Amp 3Pinto our respected customers. The offered products are designed using high-grade materials and innovative technology. Additionally, these products are durable in nature and presented to the customers in many technical specifications at very reasonable rates within the committed period of time. 16 Amp - 125 Amp, Single Phase or Three Phase. Customers can avail from our wide array of Mennekes 32A 3PinIndustrial Connector that is made in accordance with the industry defined quality norms. 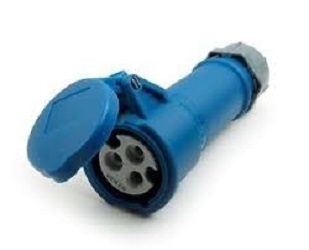 These connectors are made available in multiple design and size options to fulfill the varied requirements of the customers. 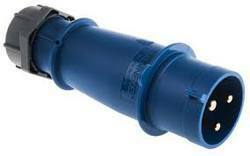 Apart from this, the offered product is available with us at industry leading prices within committed period of time. Industrial Connector, Cable Mount Female Connector 1 Amp - 125 Amp, Single Phase or Three Phase. 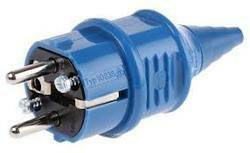 We are an accomplished organization which has gained name and fame in providing Mennekes Industrial Connector 16Amp 3Pinto the customers. 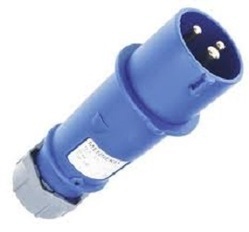 Manufactured using the best quality of material, these provide a connection to the electrical mains rated at higher voltages and currents than household plugs and sockets. 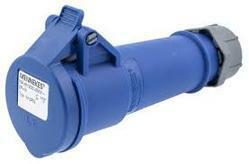 Moreover, we offer these products at very reasonable rates. 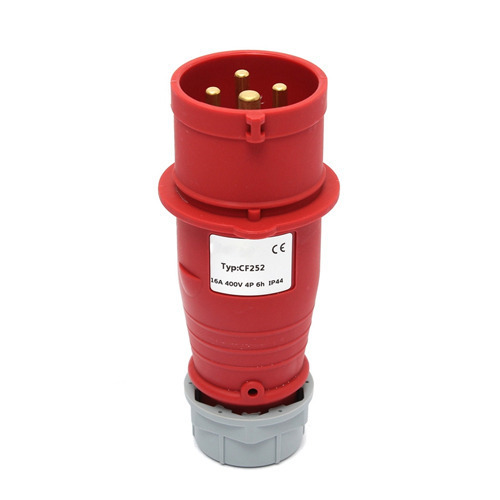 - Provide a connection to the electrical mains rated at higher voltages and currents than household plugs and sockets. They are generally used in polyphase systems, with high currents, or when protection from environmental hazards is required. 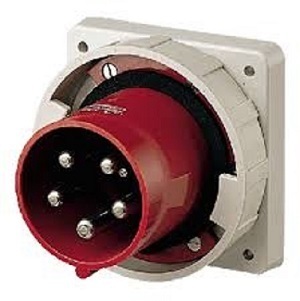 Industrial outlets may have weatherproof covers, waterproofing sleeves, or may be interlocked with a switch to prevent accidental disconnection of an energized plug. 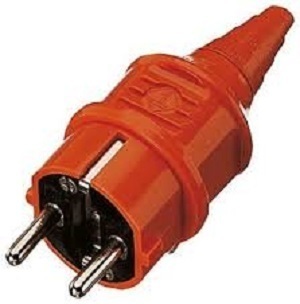 Almost all three-phase power plugs have an earth (ground) connection, but may not have a neutral because three-phase loads such as motors do not need the neutral. 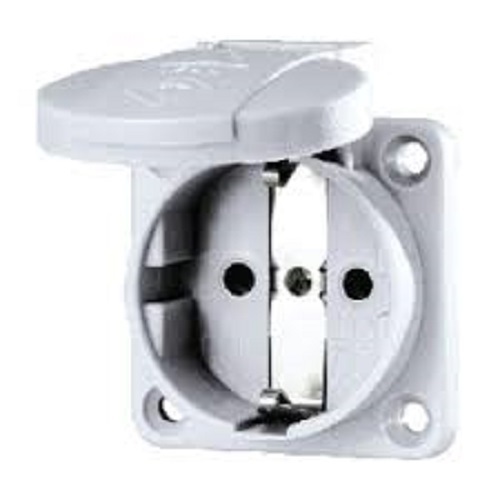 Such plugs have only four prongs (earth, and the three phases). - Plugs are available in P N E (unbalanced single phase with neutral), 2P E (balanced single phase), 3P E (3 phase without neutral), and 3P N E (three phase with neutral). Current ratings available are 16 A, 32 A, 63 A, 125 A and 200 A. - Voltage and other characteristics are represented by a colour code (in three-phase plugs the stated voltage is the phase-phase voltage, not the phase-neutral voltage). - Since the different current ratings have different overall sizes, it is also not possible to mate different pin configurations or current ratings. 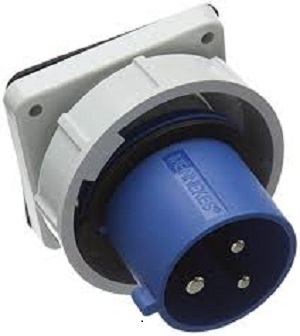 In order to cater to the ever-changing requirements of our esteemed clients, we are involved in presenting a wide assortment of Mennekes 32 Amp 5Pin Industrial Socket in the market. The offered products are designed as per the industry standards. Acknowledged for their high strength and excellent corrosion resistance, these products are highly demanded in various industries. 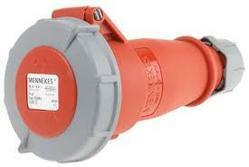 Our valued customers can purchase from us an extensive assortment of Mennekes Industrial Connector. These products are manufactured by taking optimum quality materials, according to the industry accepted models. These products are durable in nature and presented to the customers in various technical specifications. 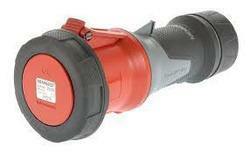 In addition, we offer this product in the market at a very affordable price. 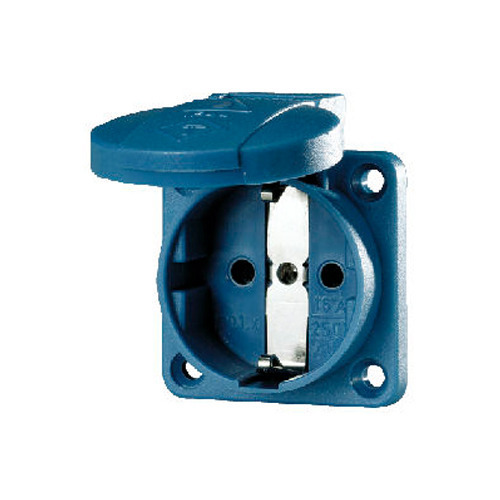 Looking for “Industrial Plug And Sockets”?